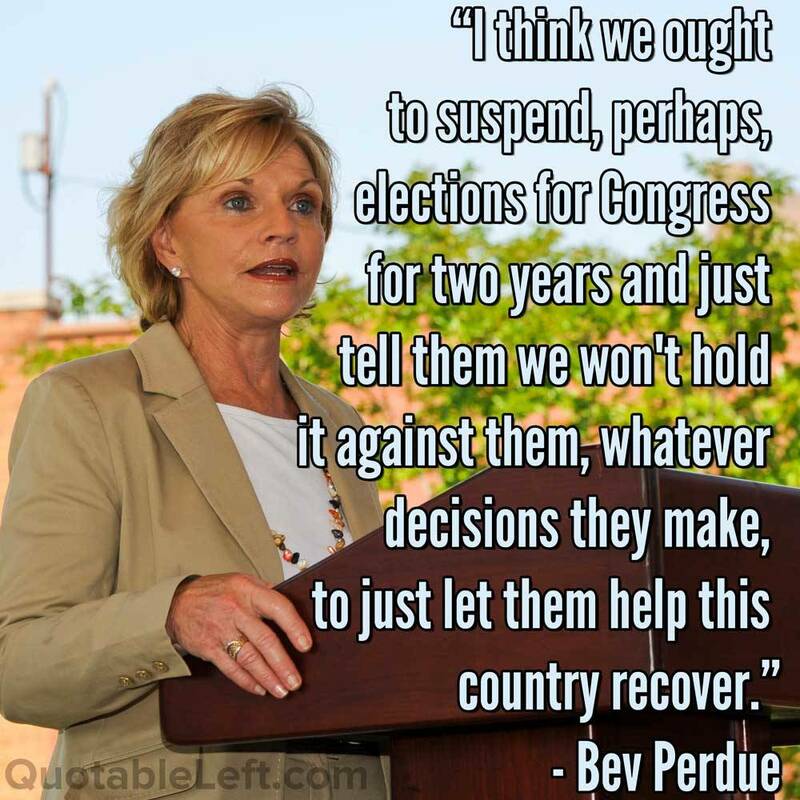 Bev Perdue: I think we ought to suspend, perhaps, elections for Congress for two years and just tell them we won't hold it against them, whatever decisions they make, to just let them help this country recover. The Washington Post: What was Bev Perdue thinking? The News & Observer: Was Perdue joking? You decide. Listen here. Previous Post: Ruth Bader Ginsburg: I would not look to the US constitution, if I were drafting a constitution in the year 2012.